This was the Latest news from the Phillippines. 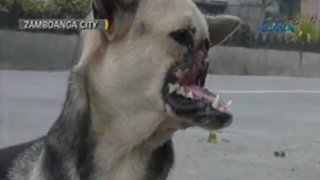 A dog named Kabang was chipped its face when trying to save two children which is too close to run over with a tricycle. The head of this dog hits , and was clipped on the ruler and sprocket of the tricycle. Causing his nose and its upper lip gone. A story from Rudy Banggal a master of the said hero, One night when his nephew and grandchild was walking on the street and too close to be hit with a tricycle, suddenly Kabang jump and push this two children away from the tricycle, and the two was saved, but unfortunately the hero's head was clipped on the ruler and sprocket of the tricycle, causing to be drag with a tricycle and that's the reason on why its upper lip was cut. 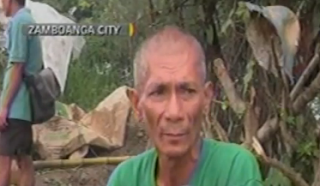 Some of the Zamboanga dog catcher under the city of veterinary office asking to get the said hero to undergo of euthanasia or mercy killing but the master refuse to give it, otherwise he said that he will take care of it and let the hero leave, he also said that if it die he wants that he will be the one to bury it. Now the dog is so healthy, it seams to be hard for her to eat, but its okay, the most important was that shes alive. Let Us always remember that even an animals love us, don't say that their just an animals. They also can feel love, and they also must be loved. we just don't know, all that surrounds also loves Us. 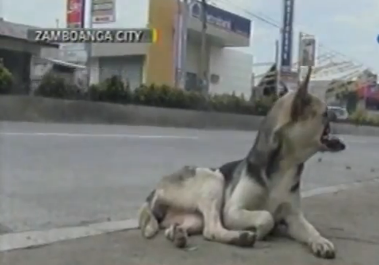 Napanood ko ito kagabi, very touching yun dedication ng aso. Buti di pumayag yun mayari ng mercy killing. Hala... :( Naawa ako ke Tabang. But dogs are like that.. they are really heroes. When they protect, they really protect. When they love, they love without hesitations. Glad to know Tabang is okay. Medyo mahirap ngang ngumuya ng food, kasi wala na syang upper.. lip. Pero good thing that he's alive. That's what matters. The name is "TABANG" which means - tulong in Filipino not Kabang. Correction po, hindi Kabang name nya Tabang po meaning Tulong. Guys Kabang poh,, napanuod q eto kgabi,, dats why edit q eto.